For people who want to book boat charters, Virgin Islands experts have much to say about the right types of boats/yachts to choose from and the way in which you need to approach different charter companies. Following are some useful tips on how to select between the many available options. You may have heard a lot about boat charters, Virgin Islands tourists and locals alike often being more than willing to discuss these subjects with anyone who will listen. But why do people choose sailboat charters more often? To answer this, we have to look at the alternative first – which is the option of chartering a motorized yacht. Now these tend to be larger, faster and will require less time to take you places, but if you’re really interested in the romantic, magical appeal of the sea, they might not be your best investment. Sailboats, on the other hand, are perfect for capturing the pristine nature of the islands, making romantic trips, honeymoons or relaxing retreats infinitely more intriguing and even somewhat “mystical”. A sailboat is also more affordable, it requires less maintenance than a motorized yacht, and when booking boat charters, Virgin Islands companies will provide you with a unique experience whether you want a crew to accompany you or not. The first thing you need before booking boat charters is to keep a close eye on your budget while considering anything from food and drink costs to the prices required for chartering the actual boat for a specific amount of time, adding equipment and facilities to the ship and considering gratuities and other additional charges apart from those mentioned. Next, a very important part of the booking process is to keep a close eye on the charter agreement, documents related to insurance, payment options and discounts, as well as the responsibility that the captain and crew have when it comes to safety issues. 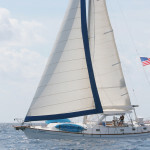 Sopris Charters is one of the few US companies you can find in the Virgin Islands that can make all this easy for you. The equipment provided for any activities you might want to engage into, together with the straightforward approach towards documents and business and the flexible offers provided for BVI and USVI charter vacations make Sopris your ideal chartering choice. If you’re interested in the best boat charters, Virgin Islands companies truly have a lot to offer, and all that remains is to find a proper way of selecting the best company, book your trip in advance, pack your bags and head to the airport – the rest is a total breeze.